James Spione's latest documentary, Our Island Home, is now available on a special Expanded Edition DVD. Learn more at www.ourislandhomefilm.com. NY FarmNet has helped over 32,000 farmers since its inception in 1986. For more information, go to http://www.nyfarmnet.org. NY FarmLink helps match retiring farmers with new farmers to help continue the tradition of family farming! Find out more at http://www.newyorkfarmlink.org. Support small farmers in your community! Click here for an extensive list of farmers markets in New York State. Navigate to your county, find the nearest market, and BUY LOCAL! The Center for Agricultural Development and Entrepreneurship is a non-profit organization in upstate New York dedicated to helping farms and farm ventures be successful. Their goal is to help build healthy and thriving rural communities through sustainable agricultural ventures. Find out more at www.cadefarms.org. Saratoga P.L.A.N. 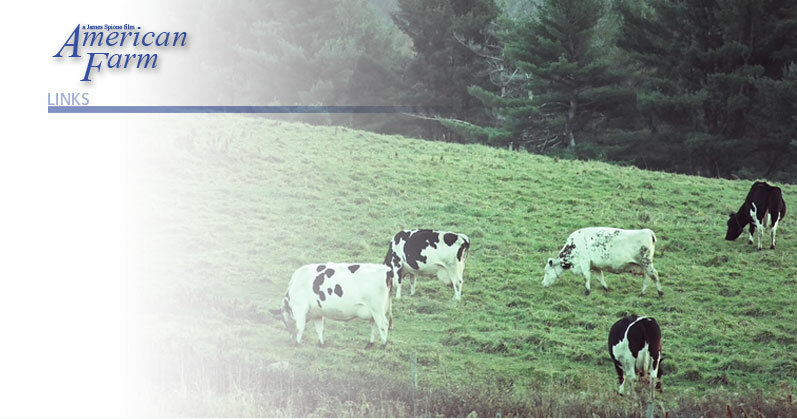 is a land trust working to preserve farmland and promote diversified and sustainable agriculture in the fastest growing region of New York State. Alan Lewis's wonderful new children's book, "I Grew Up On A Farm," based on his memories of growing up on a dairy farm in Middletown, New York, has just been published. It's lovingly crafted in the same spirit as American Farm. Check it out here.